Crossroads in life are inevitable. No matter how hard we try to ignore or even “run away” from it, when we reach the dead end the obvious thing to do is to make a U turn and face the crossroad. The other two options are either to hibernate at the dead end or escape from reality (which is pure cowardice). After weighing the pros and cons, if the mind and heart have the same answer then it’s a sure ball otherwise, a careful analysis should be done. What matters most is, whatever path the person chooses, he must take full responsibility of the consequences. That will absolutely measure his maturity level and how firm his decision is. It’s widely known that decisions can either make or break a person or a group or a country or the whole world.Thus, one must take into consideration the effect; be it in a positive or negative manner. Being able to handle the affected parties in an optimistic manner is a great factor towards moving forward. 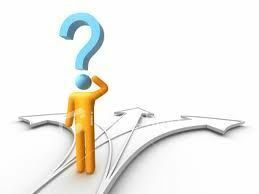 Are you in a crossroad? As they say, handle it with care. :D Pray for guidance. Aja!